In ages past, the Picts ruled all of Europe. But the descendants of those proud conquerors have sunk into barbarism...all save one: Bran Mak Morn, whose bloodline remains unbroken. Threatened by the Celts and the Romans, the Pictish tribes rally under his banner to fight for their very survival, while Bran fights to restore the glory of his race. 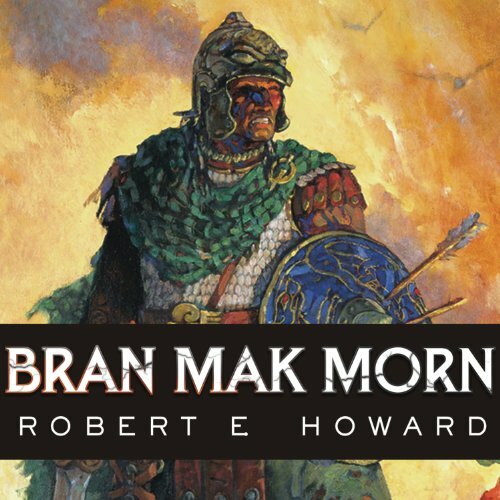 This collection gathers together all of Howard's published stories featuring Bran Mak Morn: "Men of the Shadows", "Kings of the Night", "A Song of the Race", "Worms of the Earth", "The Dark Man", and "The Lost Race". The book begins with an introduction and then there are a hand full of complete stories, but the majority of the book is Howard’s notes, letter, and incomplete stories. You would be much better if buy the complete tales of Robert E Howard. Based on the description, I was pretty excited about this book, but after the first story I was extremely disappointed. By the end, I was bored to tears. The stories were not interesting at all. I didn't care one bit for any of the characters, and I didn't feel like the writing was very good either. The stories just didn't grab me. It's a shame, I thought this was going to be a fun book, but it just wasn't for me. The entire first chapter is about the 'momentous history of the author's books' narrated as though it were Gibbons' "Decline and Fall." Ridiculous. He was a fantasy writer. I didn't make it past the first chapter.